"My people are your people, and your people are my people." I felt chills (standing outside in full sun on a day with a heat index of 107 degrees) hearing Feven and Laurence's minister speak these words. TRUTH! Love binds us, not just one person to another, but to our ever widening circles of families, friends, towns, entire peoples. It's why I photograph weddings: to document, to feel, to be immersed in these moments of both deep and expansive connections. And full disclosure: the food's pretty delicious, too! Speaking of food: on Sunday, Feven's family served up one of the most delicious meals that I've ever eaten. 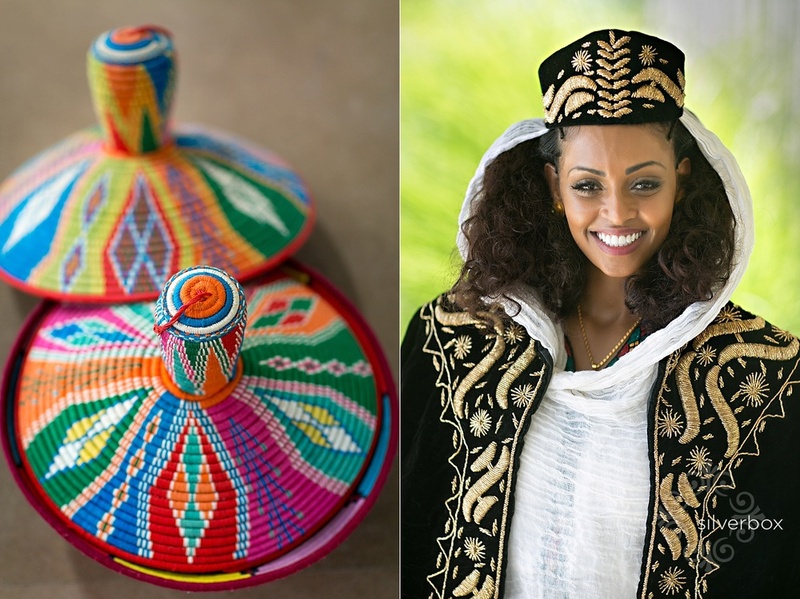 A traditional Eritrean wedding occurs over two days. Day one for Feven and Laurence was on Saturday, with their wedding ceremony on the lawn of a friend's home. 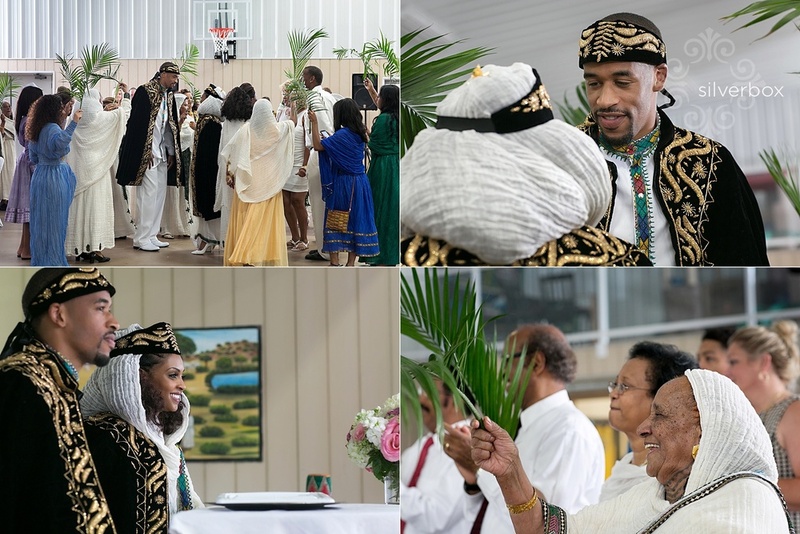 Feven's family then hosted a Melsi, to celebrate traditional Eritrean customs, on the second day; hence this second blog post with another set of pictures. The Eritrean customs on Sunday included welcoming Feven and Laurence into the reception with a big dance, surrounded by their guests. Next up: an Eritrean feast. Incredibly delicious! 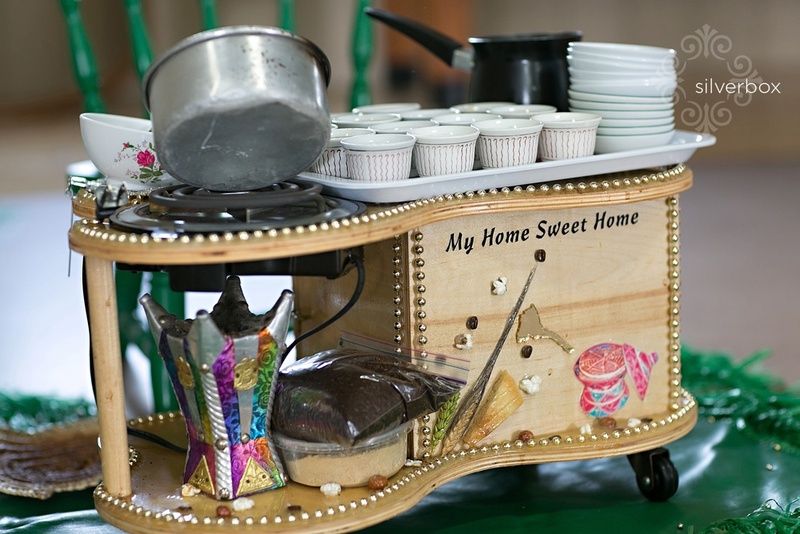 Afterwards, the women in Feven's family prepared a coffee ceremony, using a small, beautifully decorated, portable cart, complete with burner and shelves (Feven, what is the story behind this lovely cart, and how did it get to Columbia? I can just imagine someone in your family finding an ingenious way to pack it onto an airplane!). 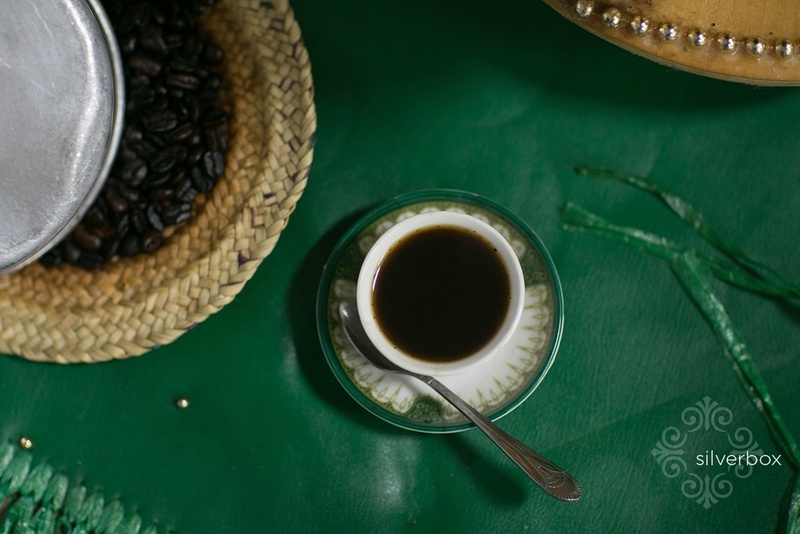 Guests were invited to smell and approve of the aroma of the roasted beans before Laurence and Feven were served coffee from a pottery jug called a jebena (I did a little research!). After coffee, Laurence was coached through the proper technique of splitting the Ambasha (an Eritrean bread used in celebrations) with the outer edge of his hand before it was offered to guests. Throw in some sewa (an Eritrean drink), a few Memphis dance moves, and a basketball court as a setting, and you've got a perfect merging of Laurence and Feven's worlds. Congratulations, Feven & Laurence, and all your people, on a delightful 2-day celebration of your new marriage.